...that i had started working again? here's a little background for those who missed it..
i worked in various export houses/design studios based out of NCR, New Delhi for more than four years after graduating from NID (National Institute of Design, Ahmedabad) as a textile designer. i was always interested in home decor and so worked on all sorts of home linen be it cushions, curtains, bedding, table linen etc for these four years. then in october 2009 i took a break from my regular job to prepare for my marriage (blush) in january this year to my boyfriend of 7 yrs (blush some more). i shifted to Pune in February 2010, since my new husband's job was here and then i sat at home, watched TV, played house, had loads of ginger tea etc and then got super bored of it all. well anyway...i did call her, we did meet and then she offered to partner with me on a residential interior project!!! i've been working on this project for close to a month now and hopefully will be able to wrap it up by july end. it is my first such project yay!!!! now lets all hope there are more (or how will i eat?)! about time i thanked Mansee Badve (erstwhile Handa a Punjabi kudi just like me :) , a senior from college and friend (if i may) for giving me reason to get out of my house everyday...especially for something i have always wanted to do..HOME INTERIORS!! 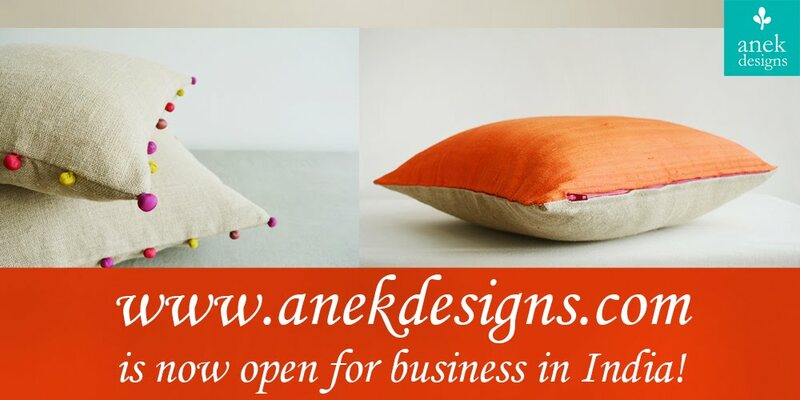 the product range offered by the studio includes curtains, cushions, bedding, table linen, blinds/screens etc. i am planning and working on a new line of textile products (along with the interior projects), will update you all with some pictures soon (i also am aware that i might have said that many a times before). Great going Kanika, sounds very cool. thanks nikheel and sulagna, but i must tell you guys that it is on really small scale! send me a status thingum for pool na? That's great Kanika! All the best to you in your new endeavor, (no matter how small the scale). Hey Kanika....congrats! that's really fantastic! Small scale or big...its doing what you love that matters! All the very very best to you! Great to hear that!!! All the very Best!! God Bless!! You are doing what you love to do....that matters!! thank you for such faith and encouragement! Those floor cushions look great.